All of us have come across librarians at some point in our lives, usually during our school and college days. Librarians refer to those trained library workers who are responsible for organizing the library material and making it easily accessible to those who need it. Though an offbeat and uncommon career choice trained Librarians can find employment with elementary and senior level Schools, Government and Private Colleges, Universities as well as public libraries at various locations. Over the years, the work of a librarian has become more technology-based and less paper-dependent. From maintaining records and stock of books to locating them when required, librarians are making use of the latest technology in all of their everyday tasks. Though the scope of work of a librarian may vary depending on how large the library is, here are some of the main duties of a Librarian. Order and maintain a stock of all relevant books, depending on the age group of readers the library caters to. Guide the members of the library so that they can make the best use of the library and its resources including books, magazines, publications, periodicals, and DVDs, etc. Regularly update and maintain a database of the different library resources. Provide training to the other members of the library staff. 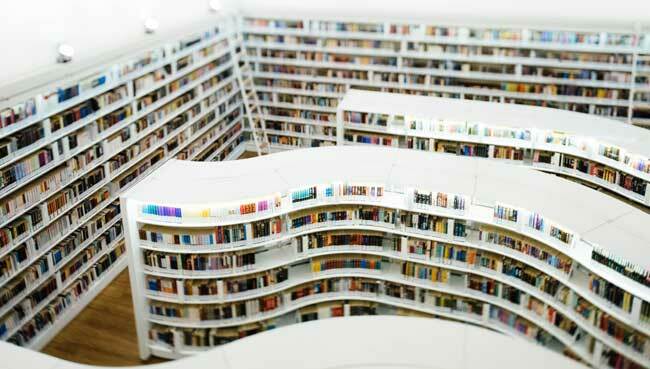 Educate students and other library users about the rules and regulations that are to be followed. Help users to find the books of their choice, both manually as well as by using computerized catalogs. Maintain order and silence in the library. Ensure that the books are kept back in their proper shelves. Maintain a record of all the magazines, books, and other resources in the library. Love and respect for all reading materials, especially books. Good communication skills and an interest in helping and guiding people. A passion for organising and finding information as well as maintaining resources. Skills for picking up and learning new technology quickly. A high level of patience, the ability to work efficiently in stressful situations and as a part of a team. Create an air of excitement and interest in the readers to explore the world of books. In order to become a professional librarian, you must gain the right training. This includes getting a graduate or masters degree in Library Sciences. Trained librarians can find employment with Public Libraries, Corporate Libraries and Academic Libraries including University Libraries, College and School libraries.